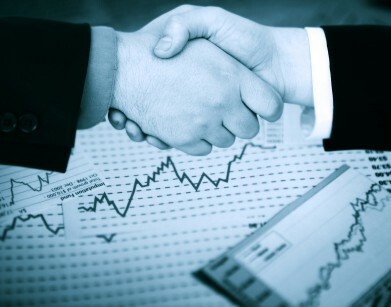 The financial services (FS) industry is one of the most trust-dependent, intimately-related B2B relationships in the world. Because of the sensitive (and heavily regulated) nature of financial services, marketing and sales practices are often geared towards developing a 1:1 connection. Customer acquisition and retention have traditionally been conducted through a process of face-to-face meetings and distributed physical marketing collateral. Even commodity-oriented services like consumer credit card providers attempt to give the appearance of a 1:1 relationship. There has been a movement by financial services marketers during the past few years toward marketing automation (MA). Marketing automation routinely distributes digital marketing collateral such as email messages and provides performance measurement capabilities that reveal response rates and Internet search activity. A robust marketing automation platform, like our Lead Management Automation™, delivers a number of marketing efficiencies while maintaining a personalized experience for prospects and customers. Historically, financial services marketers have relied on print advertising, referrals, and word-of-mouth to generate leads. Although those tactics still work today, the financial services consumer now searches the web for service providers and to compare offers. B2B buyers are using the net daily to shop for third-party vendors. According to the Pew Research Center Internet and American Life Project, 91% of Internet users search online for products and services. Marketing automation provides lead generation through a process of targeted message delivery and contact data collection. MA reduces the costs of day-to-day market engagements by allowing marketers to stage auto delivery of digital campaigns and automatically collect data about prospects who respond to messaging. In addition, lead generation through organic search results and paid ad campaigns is seamlessly integrated with outbound activities such as email marketing. When a prospect visits your FS website, information is automatically collected and imported to a database of leads. Leads can still be attracted by a 1:1 connection because marketing messages can be easily customized with fields that address prospects personally and give the appearance of a 1:1 connection. Customer acquisition in the FS industry entails building a mature relationship with a prospect. The most trusted and recognizable companies typically garner the lion’s share of client accounts. Lead nurturing is one of the primary benefits of marketing automation. Through a serial delivery of valuable information to prospects, FS marketers can not only easily engage with a wider pool of prospects but also create deeper engagement with prospects that indicate interest in your FS solutions. Through traditional FS marketing strategies, lead nurturing requires contacting individual prospects via phone or email, conversing about prospect needs and company solutions, recording the engagement details, and updating contact information manually. With marketing automation those steps are streamlined while a 1:1 relationship is maintained. The critical point in FS marketing is where marketing has attracted enough interest and a sales call becomes the next step. Today’s financial services buyers are more proactive, in control, and discerning. Competing for individual accounts requires a strategy of connecting sales agents with prospects in a timely manner. An MA platform provides a structured process of moving leads through the sales pipeline efficiently and effectively while maintaining a 1:1 relationship. Using marketing automation, progressively engaging messages are delivered so sales agents now connect with better educated prospects. As lead nurturing takes place prospects are moved from a marketing-qualified lead (one that has engaged with digital messaging) to a sales-qualified lead (one that is ready to discuss a purchase). Sales agents can easily identify the hottest leads through a scoring matrix that grades both prospect attributes (such as company size) and online behavior (such as downloading a product brochure). The 1:1 relationship can then be advanced through the sales staff until a deal is made. Although the use of marketing automation in the financial services industry is in its infancy, the benefits of automating marketing practices is already yielding results, driving down costs, and improving ROI for many notable companies, all while maintaining a 1:1 relationship appearance. Contact Lead Liaison today to find out how to become more efficient and effective at your financial services marketing.